At least 25 people, including politician Nawabzada Siraj Raisani, were killed while over 50 were injured in a blast in Balochistan's Mastung district in Pakistan Friday afternoon, Home Secretary Haider Ali Shikoh said, reports the Dawn. Levies sources say the blast targeted a corner meeting for election campaign of Nawabzada Siraj, a Balochistan Awami Party (BAP) candidate from PB-35 (Mastung). Siraj was the younger brother of former Balochistan chief minister Nawab Aslam Raisani. 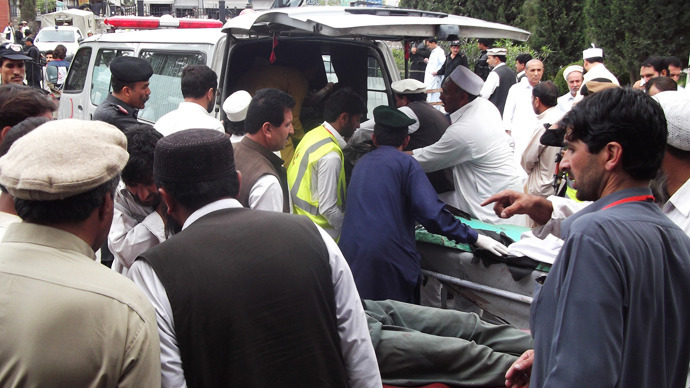 The injured have been shifted to District Headquarters (DHQ) Hospital Mastung for medical treatment. Siraj was shifted to Quetta where he succumbed to his injuries. Siraj's teenage son, Akmal Raisani, had also been killed in an attack at a football in the district in 2011. Siraj, who was also present in the stadium then, had escaped unhurt.